Until now, if you wanted to update the software on your 7-inch Samsung Galaxy Tab to a newer Android version, the only way this could be done was by installing an unofficial Gingerbread build. 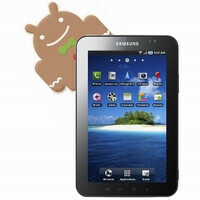 Well, things have changed – an official update to Android 2.3.3 Gingerbread is already live in Italy, and if you own an original Samsung Galaxy Tab, the update should be also coming to your tablet pretty soon. The news comes from numerous Italian Samsung Galaxy Tab users, who reported receiving the update via Kies when hooking their tablets to their computers. Unfortunately, nobody outside of Italy has confirmed getting treated to Gingerbread yet, but it shouldn't take long before the update goes live in other countries as well. However, if you are not patient enough to wait, there is a way to install the update manually - just follow the link below where a detailed description of the procedure is available. We only urge you to be careful if you attempt installing Gingerbread by yourself. You don't want ending up with a bricked device now, do you? To read how you can install the update manually, click here.